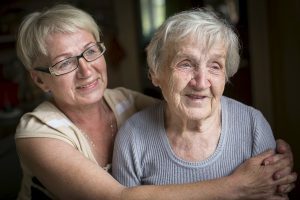 Prevention of serious health complications and issues is one of the most important things that you can do for your aging family member during the course of your caregiver journey with them. This means recognizing the risks that they face and integrating effective prevention techniques into all of the care tasks that you perform for them. Sepsis is a tremendous risk for elderly adults. In fact, more than 65 percent of cases of sepsis occur in adults over the age of 64. Preventing infection is key to reducing the risk of sepsis, and one area where this is extremely important is in wound care. Wash your hands thoroughly before and after handling anything having to do with your parent’s wounds. Wear disposable gloves whenever possible. 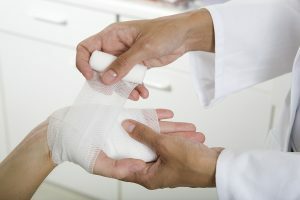 Do not attempt to use first aid on wounds that are large, deep, jagged, or that have debris in them. Bring your parent to a medical provider as soon as possible. Rinse new wounds with water, but do not apply soap to them. Cover the wound lightly to prevent dirt and water from getting into it, but not so tightly that air cannot circulate around it properly. Only use antibiotic creams or ointments if recommended by your parent’s doctor. Change the dressing regularly to ensure that it stays clean and dry. Pay close attention to the wound and its surrounding area to detect any signs that they might be suffering from an infection, including redness, swelling, warmth, pain, or oozing. If you notice these signs, get your parent medical attention promptly so that they can get the treatment that they need to reduce the risk of sepsis. If you have found that your parent’s needs have increased to the point that you no longer feel as though you can handle them properly, or your own limitations or schedule have changed so that you do not feel that you are capable of offering the level of care that your parent needs and deserves, now may be the ideal time for you to consider starting home health care for them. A home health care provider can fill any care gaps that might exist in your routine with your senior so that they can get everything that they need to stay happy, healthy, comfortable, and safe as they age in place. 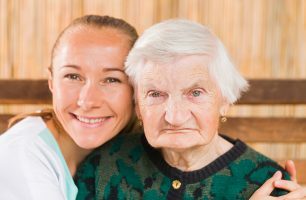 This is especially reassuring if you are a distance caregiver, helping you to know that even if you are not able to be there with your parent, they are still getting their individual needs and challenges met on a daily basis. The highly personalized nature of this home health care means that the care provider can help your senior pursue a lifestyle that is as active, engaged, independent, and fulfilling as possible throughout their later years. If you or an aging loved one are considering Home Health Care Services in Manhattan NY, please contact the caring staff at Gentle Hands Home Care. Assistive devices such as canes, walkers, scooters, and more help your loved one to be safely mobile. Unfortunately, some elderly loved ones might flat out refuse to use these types of device. What can you do then? Homecare Jamaica NY – Does Your Loved One Believe that Assistive Devices Make Her Weaker? For many elderly loved ones, they witnessed an elderly loved one of their own who used these types of devices and then their health failed. This creates a belief that the device itself contributes to a worsening health condition. Your loved one might also have a belief that this type of device removes some of her independence, even though it can help her to be more independent. Understanding where this refusal comes from can help you to come up with a solution that works for your loved one and keeps her safe. Some loved ones have a bias against a specific type of assistive device. For example, some people will use a cane with no problem, but if you try to suggest a walker or any other type of device, that’s not going to work. It’s possible that multiple devices could be acceptable for your loved one’s situation. Figuring out which ones she’ll actually use is the key. Almost every assistive device functions better if it’s properly fitted. For canes, this means adjusted to the right height with the right tip installed in the bottom. Other devices, such as walkers, also need adjusting as well. If your loved one’s doctor or physical therapist can adjust these devices for your loved one, she’ll have a much better time using them and may be more likely to continue using them. If your loved one is still against the idea of using any assistive devices, make sure you talk to her doctor about the situation. He may be able to suggest another option in terms of devices or he might have some further advice that can help you to make the idea more appealing for your loved one. You might also want to consider hiring homecare providers to help your loved one, whether she’s still resisting assistive devices or not. If you or an aging loved one are considering Homecare Services in Jamaica NY, please contact the caring staff at Gentle Hands Home Care. 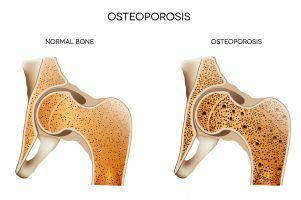 According to an article in the US National Library of Medicine National Institutes of Health, osteoporosis is frequently under-diagnosed and undertreated, despite its high occurrence in America and around the world. More than 10 million people in the U.S. have this disease with 70 percent of the cases occurring in those who are 65 years of age or older. The tragic aspect of this disease is that many are unaware of its existence until a slight fall or misstep leads to one or more fractures or broken bones. These can occur from something as simple as bending down to pick up a piece of paper from the floor. These fractures can diminish your parent’s ability to remain independent and continue to perform the everyday activities of living. A broken hip requires a long recovery and intense physical therapy. As a family caregiver, you are providing an incredible service to your parent. By helping them to do enough to stay strong but not so much that they injure themselves, you are giving them the best chance at the highest possible quality of life. Help your loved one stay on a diet that supports their bones and muscles. This includes a diet rich in calcium, magnesium and vitamin D. Foods rich in these nutrients include low-fat dairy, leafy greens and foods that has been fortified with vitamin D such as cereals and milk. One of the best sources for vitamin D is the sun. Enjoying the sun’s rays for just 10 minutes a day can often create enough Vitamin D in the body. Your parent’s healthcare team will often recommend supplements in order to ensure they get the vitamins and minerals that they need. They may also prescribe a medication which will be important for your parent to take at the scheduled times. If you are not available, there are medication alarms that help with this important task. Some even notify the caregiver should a dose be missed. Weight-bearing exercise is also recommended. 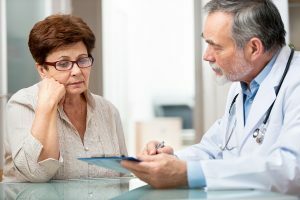 You will want to discuss this with their primary care physician before starting a regimen in order to determine just what they can do without sustaining a fracture. Walking, bicycling and dancing are all examples of weight bearing exercises. Exercises that increase one’s balance and reduce the risk of falls is also important. Tai Chi, an ancient slow-motion Chinese martial art has been shown to increase balance in seniors. Keep their home safe by limiting the possibility of falls. You can accomplish this by removing any throw rugs and other tripping or slipping hazards. Make sure their home is well lit and consider the use of motion sensor lighting or nightlights. Place grab bars in strategic locations such as in the shower and by the toilet. Remove clutter and make sure stairs have handrails on each side. One of the tasks that many caregivers find the most difficult is making time for themselves. You can heed your parent’s condition as a warning and begin to undertake the lifestyle changes that you are addressing with your parent. This includes a good diet, possible supplementation of calcium, magnesium and vitamin D, and daily weight-bearing exercises. A home care services provider can care for your parent while you are tending to yourself. PAD stands for peripheral artery disease, a disease that affects circulation to the limbs—usually the legs. PAD occurs when arteries become narrow and the blood flow to the limbs decreases, causing symptoms like leg pain. Unfortunately, having PAD may mean that the person has other fatty deposits in arteries that could cut of the blood supply to the heart or brain, causing a heart attack or stroke. Because PAD is a sign of a greater problem, knowing whether your parent is at risk could prevent a more serious condition. Home Health Care Bronx NY – Could Your Parent Have PAD? There are several risk factors for PAD. Some of them are things that you cannot change, but there are some risk factors that you can help your parent address. A family history that includes PAD, stroke, or heart disease. Age, especially over the age of 50. Although there is nothing you or your parent can do to change their age or family history, making lifestyle changes could help reduce other risks. If your parent has diabetes, high blood pressure, or high cholesterol, keeping the conditions under control by taking prescribed medicine and following the doctor’s advice can help. If your parent smokes, encourage them to quit. For people who are obese, losing weight lowers the risk of PAD while also decreasing risks for other medical conditions. Hiring a senior home health care provider through an agency to visit your parent in their home may help them to take better care of themselves. A senior home health care provider can remind your parent to take prescribed medications. They can also help your parent to prepare healthy meals and engage in physical activity, which promotes weight loss. A color change in the legs. Shiny skin on lower limbs. Pain in the legs, hips, or thighs after activities like walking or climbing stairs. Feeling numb or weak in the legs. Cold legs or feet, especially when compared to the other leg. Sores on the legs or feet that don’t heal. When PAD progresses, your parent may experience pain in their legs even when they are lying down. When they sit up and dangle their feet over the edge of the bed, the pain may lessen for a while. The pain may be severe enough to wake your parent up. If your parent exhibits signs of PAD, they should be screened by a doctor. Even if your parent does not have symptoms, doctors at the Mayo Clinic recommend that all people over the age of 70 be screened as well as people who are under age 50 but have risk factors like diabetes or smoking. If you or an aging loved one are considering Home Health Care Services in Bronx NY, please contact the caring staff at Gentle Hands Home Care. Two of the challenges family caregivers face are how to keep their loved one safe and how to make sure they fit in those 30 minutes of daily exercise. The two are inexorably connected. When a loved one is strong and has maintained their balance, a fall is much less likely to occur. One of the increasingly popular exercises that accomplishes strength, flexibility and balance is Tai Chi. Tai Chi is an ancient form of a Chinese martial art that originated over 3,000 years ago. It is slow deliberate repetitive movements that look simple in nature. But these movements that flow one into the other require balance, stamina and strength—all of which develop as one progresses through the various movements. It requires focused concentration and mindful awareness, two attributes that not only contribute to good health, but also a sound mind. According to an article in Harvard Health Publications, Tai Chi is equivalent to a brisk walk and weight training. It reduces falls in seniors by up to 45 percent. It strengthens bones and muscles, improves cardiovascular health and emotional well-being. In fact, researchers found seniors who practice Tai Chi were less likely to develop high blood pressure. 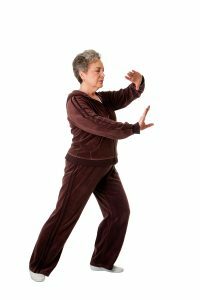 Tai Chi has grown so popular among seniors that classes are often offered at the local senior community center or the YMCA. Several evidence-based fall programs incorporate Tai Chi as the core of their program. Tai Chi for Arthritis—According to the National Council on Aging, Tai Chi for Arthritis “helps people with arthritis to improve all muscular strength, flexibility, balance, stamina and more.” They believe that Tai Chi is one of the most effective exercises for preventing falls. Tai Ji Quan: Moving Better for Balance—This is also based on Tai Chi and involves two one-hour sessions given for 24 weeks. YMCA Moving for Better Balance—This 12-week, instructor-led group program teaches eight Tai Chi movements that have been modified for fall prevention. You do not need to be a member to take part in this class. To find a class near your parent, contact the National Council on Aging or your parent’s local Area Agency on Aging. If your loved one is uncomfortable performing exercise in a class setting, there are numerous DVDs available. YouTube also offers several recorded sessions. This is a great way to spend quality time with your parent while both of you are enjoying strengthening the body and relaxing the mind. If your loved one requires assistance with the daily tasks of life, consider obtaining the services of an elder homecare provider. They can also help your loved one stay strong in body and mind by accompanying them on walks, providing transportation to classes, preparing healthy meals and providing companionship. If you or an aging loved one are considering Homecare Services in Long Island NY, please contact the caring staff at Gentle Hands Home Care. From what you see in and around your dad’s home, you know he needs help. You suggest downsizing to a smaller, more manageable, home, but he refused. You mention independent or assisted living, and he blames you for trying to take away his freedom. 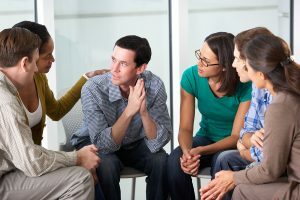 You ask about having a caregiver to help out a few times a week. He also hesitates thinking a caregiver means having a babysitter or someone to boss him around. Rather than ask your dad about hiring a caregiver, ask him if he’d be willing to try it for a month. If he hates it, you can then readdress it after the month is up. Knowing it’s not a permanent thing may be enough to get him to agree. During that month, he’ll soon see that a caregiver is not the boss or babysitter he feared. He’ll gain a companion. He’ll have a friend to eat meals with and an assistant for bothersome chores like laundry and shopping. As your dad gets to know his caregiver, you’ll need to offer support. He may feel you’re hiring a caregiver because he’s become a burden to you. Make sure you emphasize that by having homecare available, it frees up time to spend quality time together doing things you both love. Explain that with a caregiver helping with housework and meal preparation, you have more time to do things like take him to a brewery or ball game. Is the hesitance at allowing a caregiver in the home related to fear of a stranger? Let your dad have a say in the caregivers who come into the home. When you’re talking to a homecare agency, bring your dad along. Let him ask questions, meet potential caregivers, and give his input. For the first week or two, make sure you stop in and ask your dad how things are going. Talk to the caregiver and address any concerns. If there are concerns on either end, discuss them rationally. It may simply be a case of one caregiver not being the best match. If that’s the case, you may need to try someone else. It can take a few attempts to find a caregiver who clicks with your dad. If you remain active in your dad’s care, he’ll see he’s not being abandoned. Are you ready to learn more about the duties caregivers can help your dad with? Call a senior homecare agency today to arrange a trial run with the caregivers in your dad’s area. When you’re miles away from your aging parent, you may find it extremely hard to remain active with home care needs. You’re not physically there to see how things are going. Here are some mistakes you should avoid making. You know you’ll be in your mom or dad’s state in a month’s time. You’re tempted to call in advance and give everyone a head’s up that you’re coming. If you plan to stay at your parent’s house, advance notice is important. If you can stay in a hotel or don’t mind getting your own room ready at your family home, make a surprise visit. You’ll get a good idea of how daily care is going when you show up unexpectedly. Check in every day and see how things went. You’ll also want to talk to your parent to see how they feel the day went. You’ll want to remain updated on any appointments, unusual behaviors, or problems within the home, such as a leaking pipe. If you’re paying your mom or dad’s bills, make sure you’re letting them know that you’ve made a payment. Keep them involved. This prevents them from feeling like they’re being left out or managed. Your parent wants to be actively involved in activities of daily living, so you need to get his or her input. Ask for advice before changing insurance plans, paying extra on a loan, or switching to a less expensive trash hauler. If you’re not on the list of people doctors can share medical information with, you need to be. Your parent may say an appointment went great, but the doctor may have actually mentioned a concern with blood pressure or diet. A test, such as bone density or a colon cancer screening, may have been recommended, and your parent may have refused. It’s important you get updates from the doctor. If you find something is amiss, you can step in and talk to your parent about medical issues. A caregiver is vital when you live miles away from an aging parent. A home care services agency can send someone out at the desired intervals to help with everything from meals to transportation. Plus, your parent gains a friend in the process. Call a home care services agency today to learn more about the services they provide. When was the last time your saw your dad’s feet? It’s not something you likely even think to check, especially if he’s not a diabetic needing careful foot care. For one family, they learned the truth when it was too late. Home Health Care Little Neck NY – Have You Seen Your Dad’s Feet Recently? In their case, their dad had broken his ankle slipping on icy steps. When he limped around the house, they assumed it was related to his ankle, which he admitted felt stiff and sore when it was cold and rainy or snowy. They never thought more of this, and that’s where things went wrong. For months their dad would limp and rarely walked around. If they went out, he could walk for a few minutes and then needed to sit and take a break. It impacted his ability to get exercise and do things as simple as go shopping in a store. Eventually, he reached a point where he didn’t walk his dog. He preferred to have Chinese or pizza delivered to his house so that he didn’t have to stand and cook or attempt a trip to a grocery store. As mobility decreased, his health took a toll. After falling and hitting his head and injuring his shoulder, the family took him to the ER. There, doctors showed them what was causing their dad’s mobility issues, and they were shocked that it had nothing to do with his ankle. His toenails were so long they were curling into the sides of his other toes. He had cuts in the skin from the sharp toenails. It was clear he hadn’t trimmed his toenails in months or possibly years. As you age, your toenails change. The nails can become thicker and harder to trim. The nails may appear more yellow. They can develop more pronounced ridges and split easily leading to very sharp edges. Fungal and bacterial infections may appear and need medical treatment. It’s so important to have your elderly dad go to a podiatrist. The podiatrist can properly trim the nails to prevent issues. If you can’t leave work to take your dad to appointments, call a home health care service to discuss having a caregiver available for safe transportation. 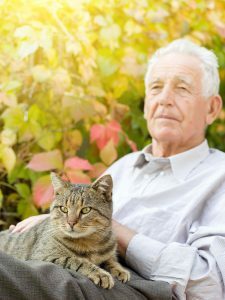 In addition, a home health care service can help your dad with mobility and grooming. Call today to learn more. If you or an aging loved one are considering Home Health Care Services in Little Neck NY, please contact the caring staff at Gentle Hands Home Care.